H&M abbreviated from Hennes & Mauritz is a Swedish retail clothing company located all around the world, with United Kingdom housing 243 stores. 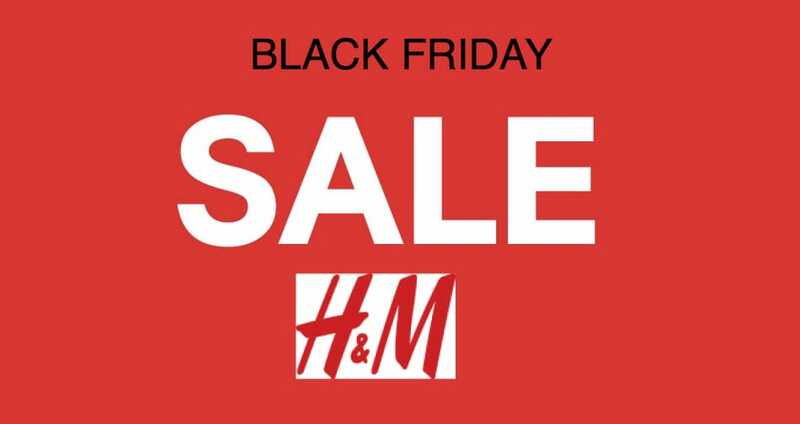 The H&M Black Friday UK sale is always put into place to save you money pre-Christmas, catering for men, women, teens and children for fast-fashion clothing. The top 3 countries with the most stores include the United States with 405, China is second with 289 and then in third is United Kingdom with 243 stores. So you can just imagine how well Black Friday sales do around the world, and with the UK being relatively new to BF deals, we can see each year just getting better. If you are looking for quality fashion clothing, jewellery, shoes or accessories look no further than this H&M Black Friday UK page. H&M also sells Home products for the living room, kitchen, bedroom, bathroom and kids rooms plus much more. You can expect up to 70% off H&M items over the Black Friday weekend, deals will be huge and ones not to be missed. Please do visit the official H&M website, this is where you will find all kinds of discounts and offers until the BF deals go live. I cannot see anywhere that these are going to be a part of the Black Friday sale this year. Please do update when they do thank you. I have seen online the adorable Unicorn printed top for only £2.99. Bargain. H&M have a great sale on at the moment where you can save up to 70% off. Wonder if its Black Friday sale can do any better this year. H&M have confirmed to us in an email that they will be taking part the UK Black Friday Sale from 25th of November, and will be all day online, and available in stores from opening until closing. The H&M Kenzo collection range is coming to stores 3 November 2016, please tell me these will be a part of the Black Friday UK deals. There is no news on H&M doing Black Friday 2016, hopefully this gets updated soon. I am expecting H&M to update us with them taking part in Black Friday UK sometime in October maybe early November. Can you please let me know what H&M opening and closing times are for Black Friday Nov 27? When is H&M releasing its Black Friday ad so we can see what will be on sale?